If you follow me on Instagram you will see that I posted this multi purpose space today. 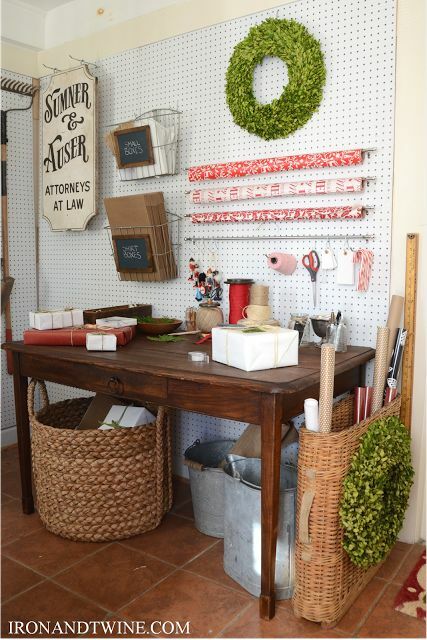 It's our new mud room but the counter top is doing double duty as a gift wrap station. Of course I would love a whole area designated solely for gift wrapping, but in a small house that is just not possible. Which leads me to the next photos. I am loving these multi purpose gift wrap areas and I hope you can pull some inspiration from them too! 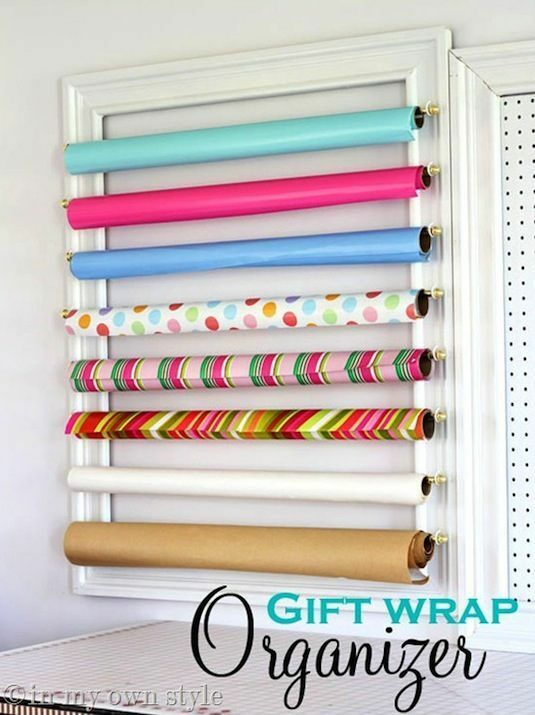 This gift wrap area fits perfectly on the back of a door~genius. 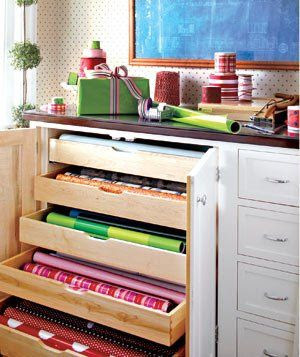 How about some drawers full of gift wrap? How about repurposing an old door? Of course, if you have the room, this setup isn't too shabby! 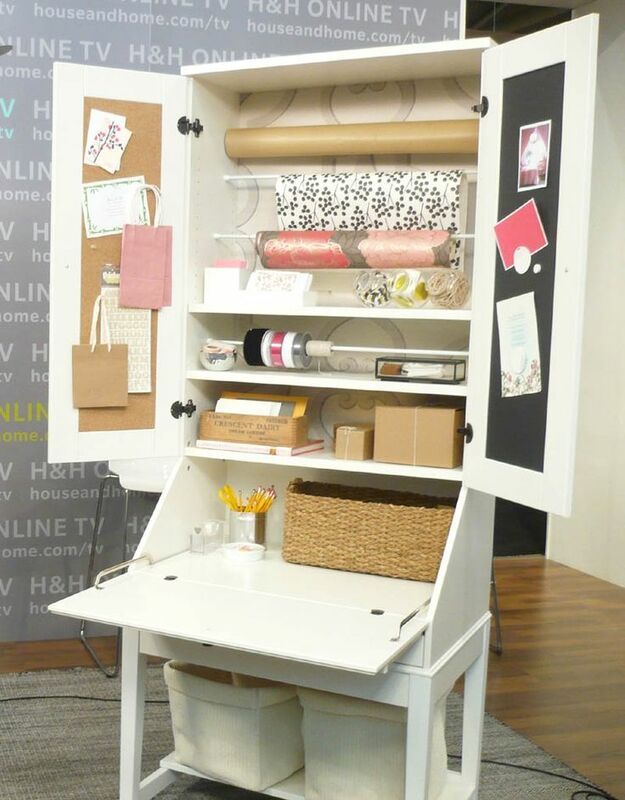 How about creating a portable gift wrap station out of a piece of furniture? I love multi purpose spaces! 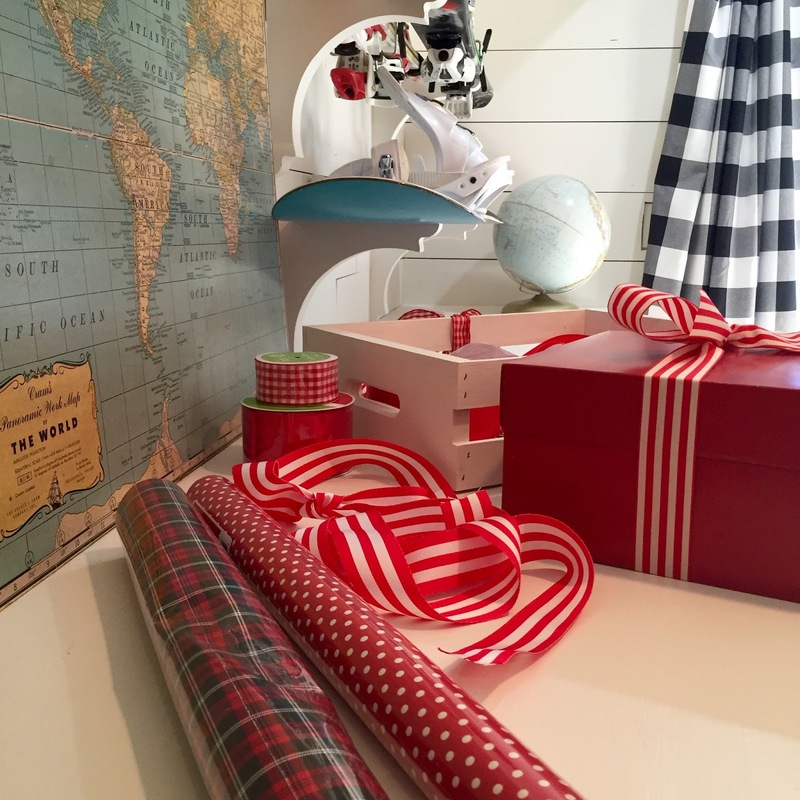 Where do you wrap your gifts? 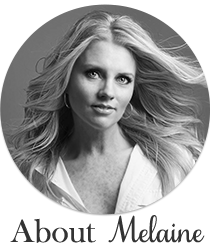 Hi Melaine. When I click on your blog, a warning comes up as a suspicious link which may lead to inappropriate info. Unsure if you are even aware of this, or what it means. 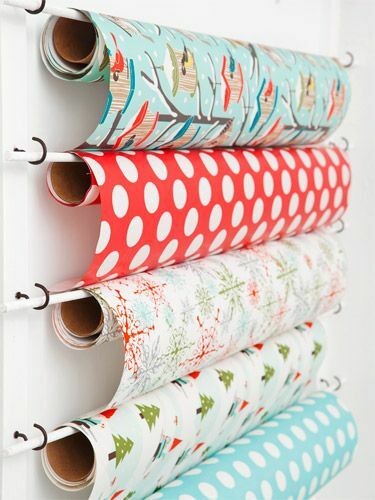 I wrap mine in my bedroom...it's the most private spot I have. Love these ideas. Maybe someday I will have a better spot. 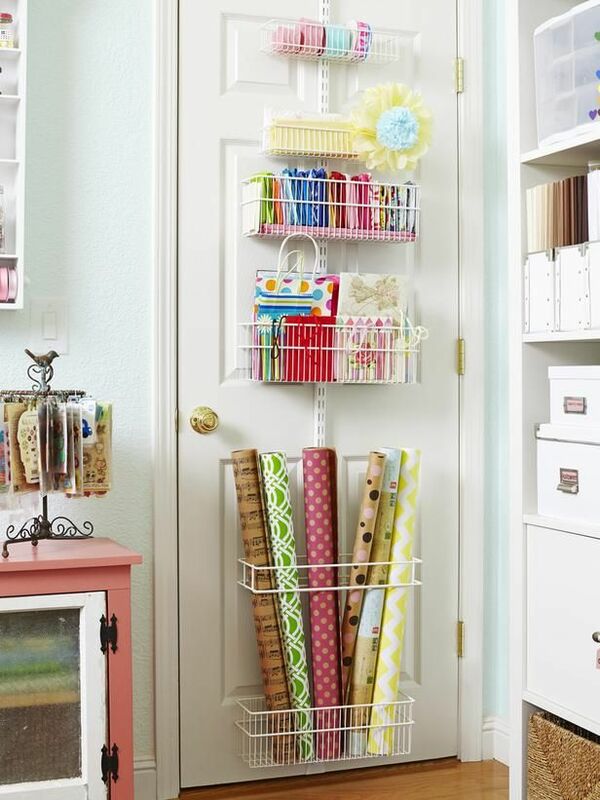 I have the door organizer. I love it! So easy and accessible. The container store sells them. 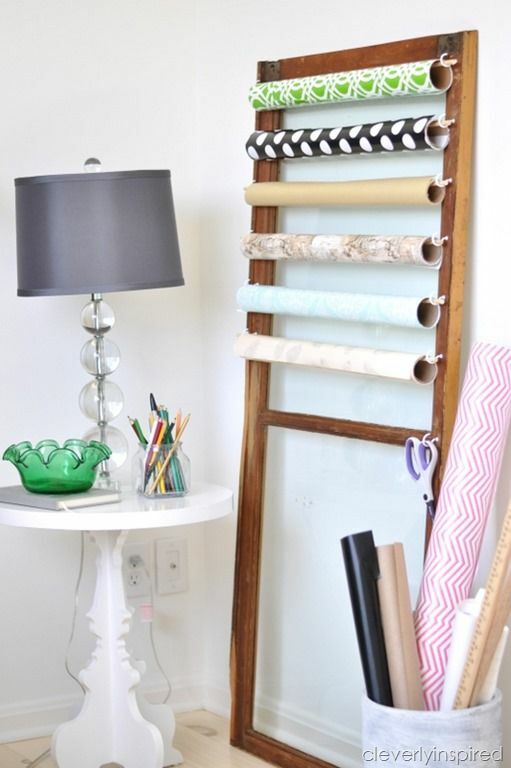 It's perfect if you have all kinds of papers that dont match your decor. Perfectly hidden.